With recent news of critical zero day vulnerabilities found in Adobe Flash plugin, Mozilla firefox and Google Chrome browsers have already blocked adobe flash plugins. Current vulnerabilities can allow potential remote code execution. 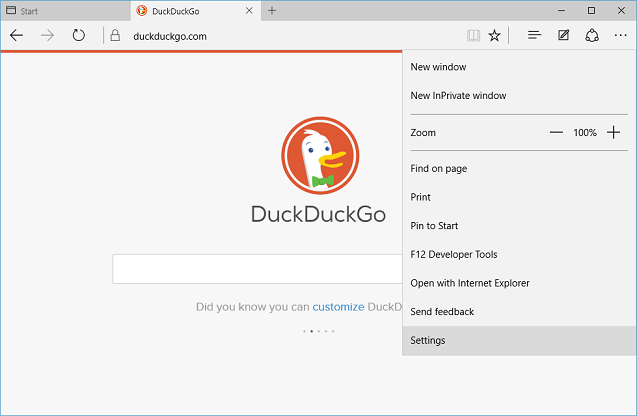 With exploit active in public, you may want to protect your Windows computer by uninstalling or disabling adobe flash on your computer. 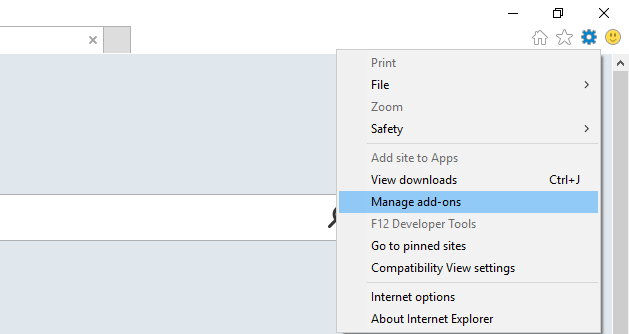 Click on "Settings" (gear icon on top right in Internet Explorer), and click on "Manage Add-ons" to open "Manage Add-ons" Window. 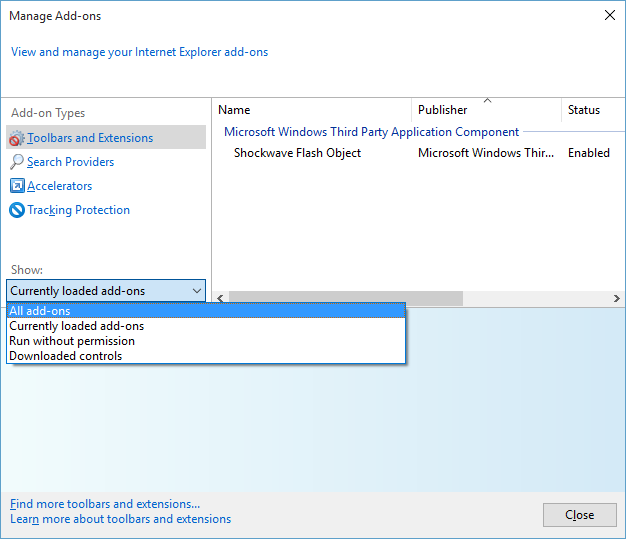 In "Manage Add-ons" window, select "All add-ons" under "Show" drop-down box. 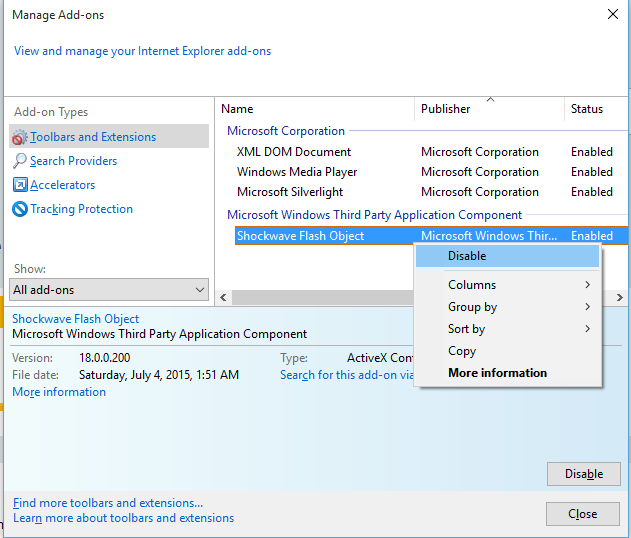 Right click on "Shockwave Flash Object" under "Microsoft Windows Third Party Application Component" and click on "Disable" in pop-up menu. 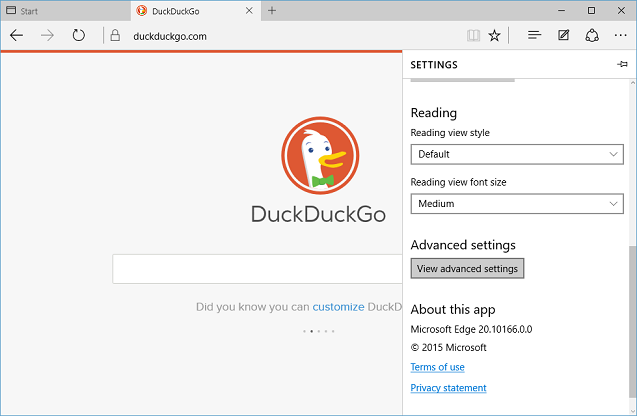 Open Microsoft Edge browser in Windows 10. Click on "More actions" link. This is link with three dots (...) at right side on menu bar. In "More actions" menu, Click on "Settings" to open Settings screen. In "Settings" screen , scroll down to end and click on "View advanced settings" button. 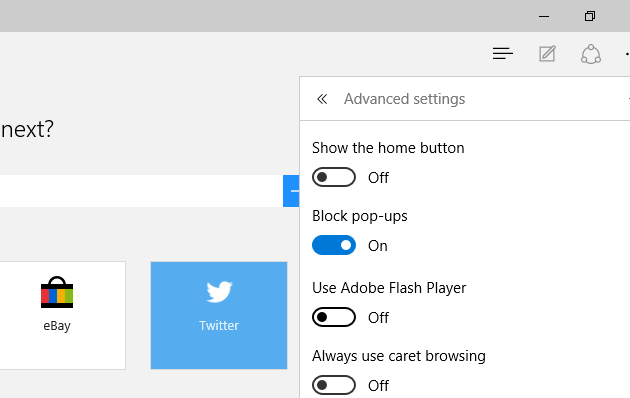 In "Advanced settings" screen, set "Use Adobe Flash Player" slider to Off. 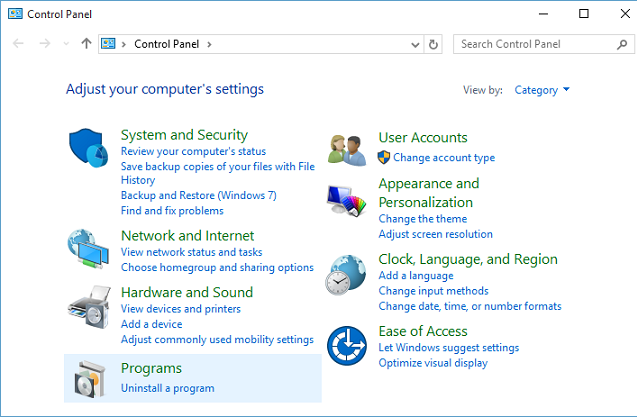 In "Control Panel", click on "Uninstall a program" under "Programs". 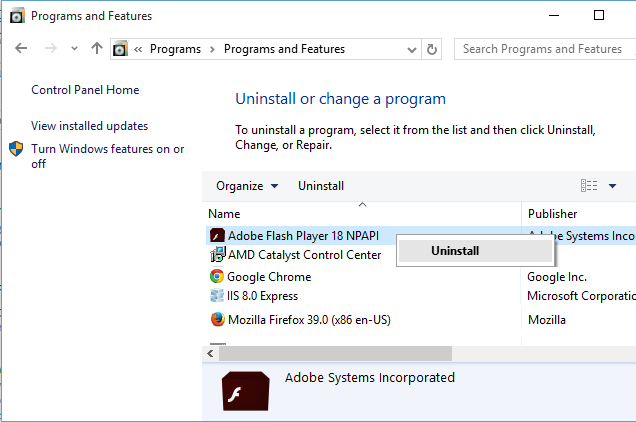 In "Uninstall or change a program" screen, right click on all programs/plugins name beginning with "Adobe Flash Player" and click on "Uninstall" to install them.